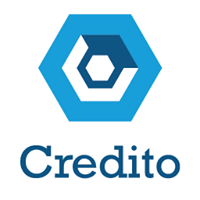 Credito Design Principles and Values. A finding by Transparency Market Research suggests that “the opportunity in the global peer-to-peer market will be worth $898 billion by the year 2024, from $26 billion in 2015. The market is anticipated to rise at a CAGR of 48% between 2016 and 2024.2 ” While the p2p platforms continue to face the risk of default, and fraudulent practices, the growth prospects of this segment remain strong, especially in times when the banking sector continues to struggle with lingering damages. Thus, a decentralized and transparent Credit Intelligence platform offers great opportunity for Lenders, Borrowers, and Financial Institutions to reduce their risk.